Shizuka Kudo is a Japanese pop singer and actress who debuted as member #38 of the super idol group Onyanko Club in May 1986. Shizuka is best known for her #1 singles “Dōkoku”, “Please”, “Watashi ni Tsuite”, “Senryū no Shizuku”, “Kuchibiru Kara Biyaku”, “Kōsa ni Fukarete”, “Arashi no Sugao”, “Koi Hitoyo”, “Mugon… Iroppoi”, “Fu-ji-tsu”, and “Kindan no Telepathy”. Her best known albums include Shizuka, Joy, Trinity, Rise Me, Mysterious, Karelia, Rosette, and Mind Universe. Aside from her success in music, she also appears on television in jidaigeki roles. Born on April 14, 1970, in Hamura, Tokyo, Japan, Shizuka began performing music at 14 in the pop unit Seventeen Club. She married Takuya Kimura of popular boy-band SMAP in 2000. They have two daughters: Kokomi and Mitsuki. *She was born on April 14, 1970, in Hamura, Tokyo, Japan. *She was a member of the gravure group Momoko Club. *She has a total of eleven #1 singles. 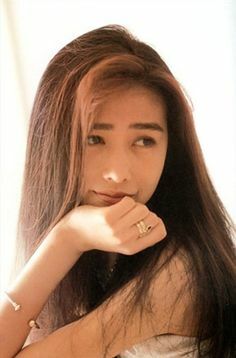 *She enjoyed a run of eight consecutive #1 singles in Japan between 1988 and 1990.